Very prompt in sending the product and good packaging. My doctor prescribed this for anxiety and stress. It works great !!!!!! Calm-PRT by NeuroScience works to decrease stress by reducing elevated cortisol‚ epinephrine and norepinephrine levels. This product was designed with high-potency Rhodiola rosea and phosphatidylserine to be used to relieve stress‚ anxiety and restlessness. 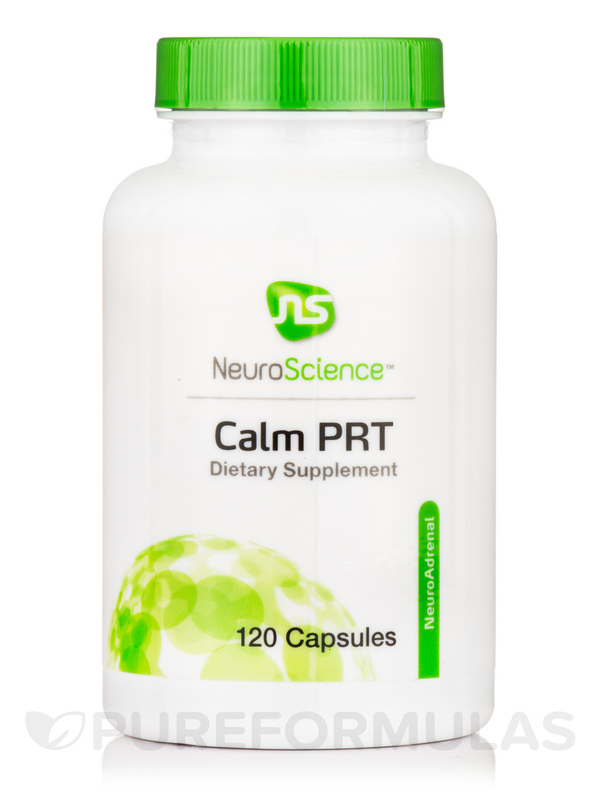 NeuroScience specifically formulated Calm-PRT with a combination of ingredients that are designed not only to relieve stress‚ but to restore communication within the hypothalamic-pituitary-adrenal (HPA) axis. The HPA‚ or hypothalamic-pituitary-adrenal axis‚ consists of a complex set of interactions between two parts of the brain (hypothalamus and pituitary gland) and the adrenal glands‚ which are located atop the kidneys. The HPA axis regulates many things within the body‚ such as digestion‚ temperature‚ mood‚ immune function‚ energy‚ and libido. The HPA axis also plays a major role in how the body reacts to stress. A poorly functioning HPA axis can contribute to anxiety‚ mood swings‚ or irritable bowel syndrome. Studies show that the HPA axis is activated in various different ways when people are exposed to stressful situations. Calm-PRT is designed to help regulate the HPA axis with natural ingredients. Rhodiola rosea: An extract of the adaptogen‚ Rhodiola rosea‚ was used in Calm-PRT because of its biologically-active rosavins. It may help you manage mental fatigue. The standardized production ensures that each capsule contains 16% rosavins‚ which are included for their stress relief and fatigue fighting abilities. 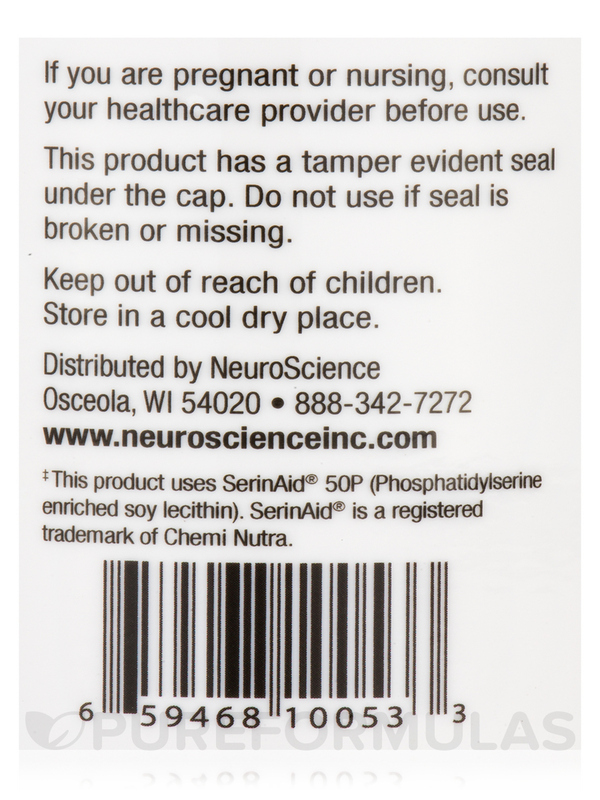 SerinAid: Calm-PRT also contains SerinAid‚ which is a high-quality preparation of phosphatidylserine. As a major component of cell membranes‚ phosphatidylserine has been shown in studies to restore desensitized cortisol receptors inside the HPA axis. Phosphatidylserine is also being studied for its role in improving memory and cognition; it can be found in foods‚ but usually in very small quantities. Glycine and taurine are both included for additional inhibitory neurotransmitter support. Glycine: Glycine is a non-essential amino acid‚ meaning that it’s one the body can produce. It’s essential to maintaining a healthy central nervous system and digestive function. Recently it has been studied for its antioxidant capabilities. In the body‚ glycine is used along with other amino acids to help create muscle tissue and convert glucose to energy. Taurine: Some research suggests that the amino acid taurine may improve athletic performance. It is used by the body to support neurological function‚ and it also helps regulate the level of mineral salts and water in the blood. Taurine is also believed to be a powerful antioxidant. It can be found in meat‚ fish‚ and breast milk. 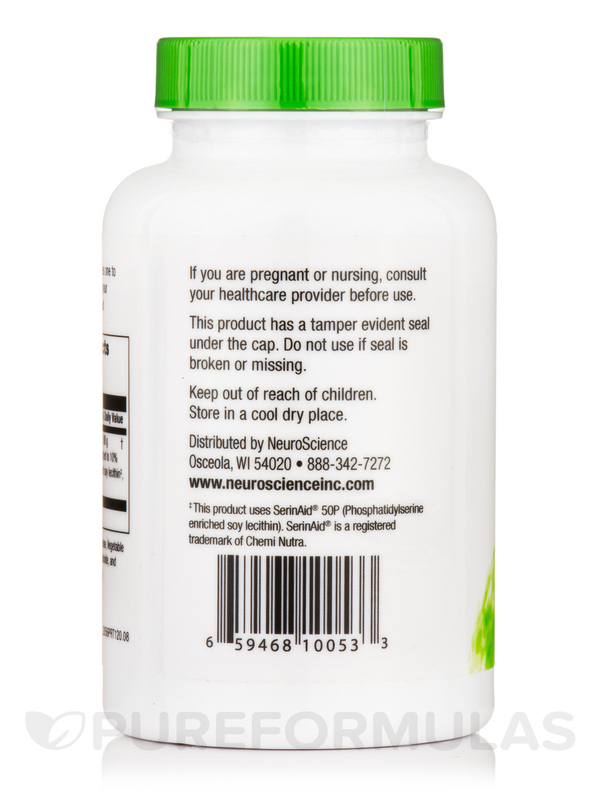 Each bottle of NeuroScience’s Calm-PRT contains 120 capsules. 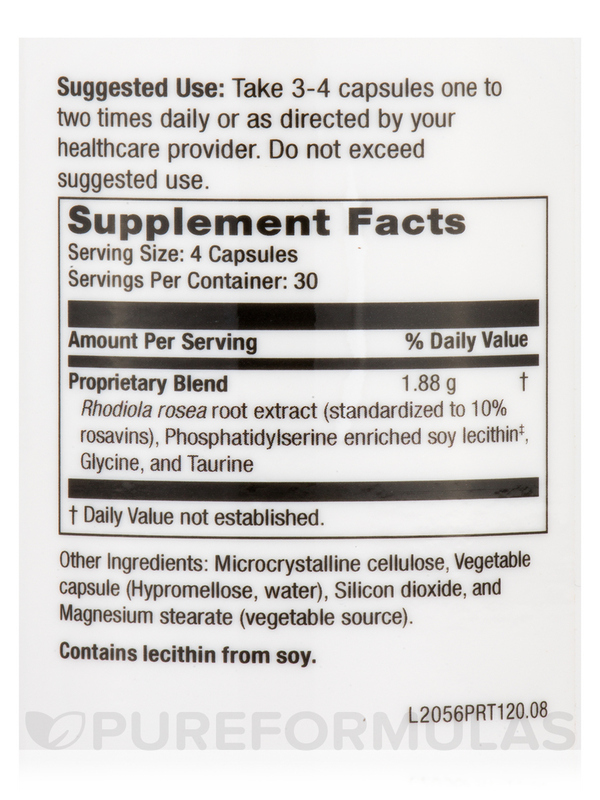 Rhodiola rosea root extract (standardized to 10% rosavins)‚ phosphatidylserie enriched soy lecithin‚ glycine‚ and taurine. Other Ingredients: Microcrystalline cellulose‚ vegetable capsule (hypromellose‚ water)‚ silicon dioxide‚ and magnesium stearate (vegetable source). 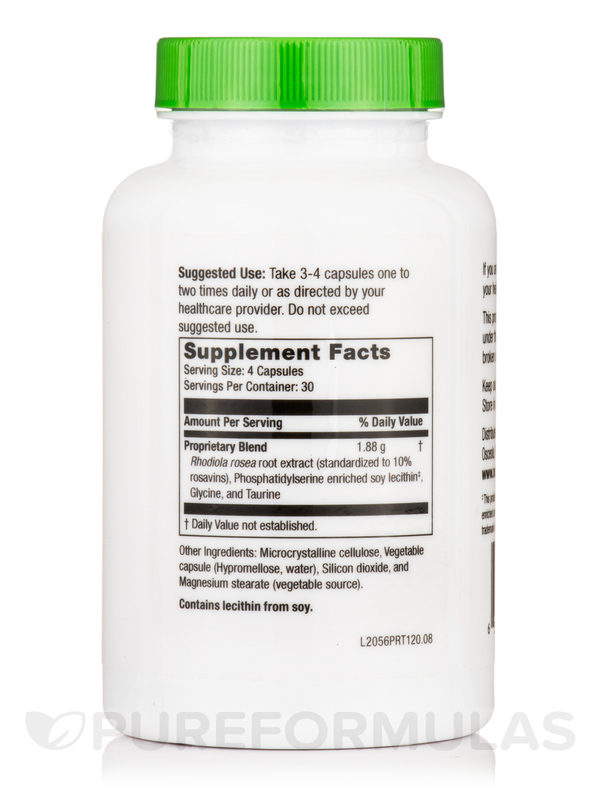 Take 3-4 capsules one to two times daily or as directed by your healthcare provider. If you are pregnant or nursing‚ consult your healthcare provider before use. Allergen Caution: Contains Lecithin from Soy. My integrative doctor recommended this Calm-PRT by NeuroScience to me when I was suffering anxiety from adrenal issues. It not only helped keep my anxiety at bay, but it also helped with sleep when taken in the evening. The dosage is hit or miss for each person. 3 tablets put me out, but 2 tablets were perfect. My husband has now also started taking it and he swears by it and never misses a dose. And he is the type of person that HATES taking meds/vitamins. I had to take Calm-PRT by NeuroScience for a few weeks, but it eventually enabled sound and restful sleep for brain to heal from unremiting stress. I was too wired to sleep. After 2 1/2 years of needing it every night, now use it occassionally. My doctor prescribed Calm-PRT by NeuroScience along with Kavinace for a restful night's sleep. I've been taking them for several years. My husband used to take Benadryl every night and now takes this along with calcium and sleeps through the night! Calm-PRT by NeuroScience is a great alternative to pharmaceuticals, however, it sure is expensive, especially when you are taking so many pills per day. Great anxiety and sleep aid. When I don't take Calm-PRT by NeuroScience I have a hard time sleeping. It definitely has a relaxing effect on me. I usually have to take it about 2 hours before I want to go to sleep. My D.O. prescribed Calm-PRT by NeuroScience to help me with anxiety and sleeping issues resulting from PTSD and Lymes disease. After much research, I found this website to have the lowest price for it. Soon after taking 3 a half hour before supper and 3 a half hour before bed, my length go sleep improved from 4 hours to 7 hours a night. The anxiety levels have also improved. That it has helped me. That even though this is the best place to buy it, it is still more than I would like to pay for something I need daily. I get Calm-PRT by NeuroScience for my daughter to help her focus and stay calm. We did a test through our naturopath and they suggested this one along with a few others to help her with her different needs. She has been on it for over a year now and it makes a big difference. The price, but it is worth it! Calm-PRT by NeuroScience was recommended by an integrative healthcare practitioner. Taking the full dosage, this product reduces long term symptoms of trauma i.e.the alarm reaction in the brain/body. This supplement is helpful for naturally restoring the body to balance rather than covering up trauma symptoms with chemical medications. The product is helpful for naturally calming the brain and body after trauma. Calm-PRT by NeuroScinece is just what it says, it helps me feel calm without any stressful feelings through out the day. Neuroscience is a brand I trust and is recommended by my Naturopathic doctor. Calm-PRT by NeuroScience calms me.